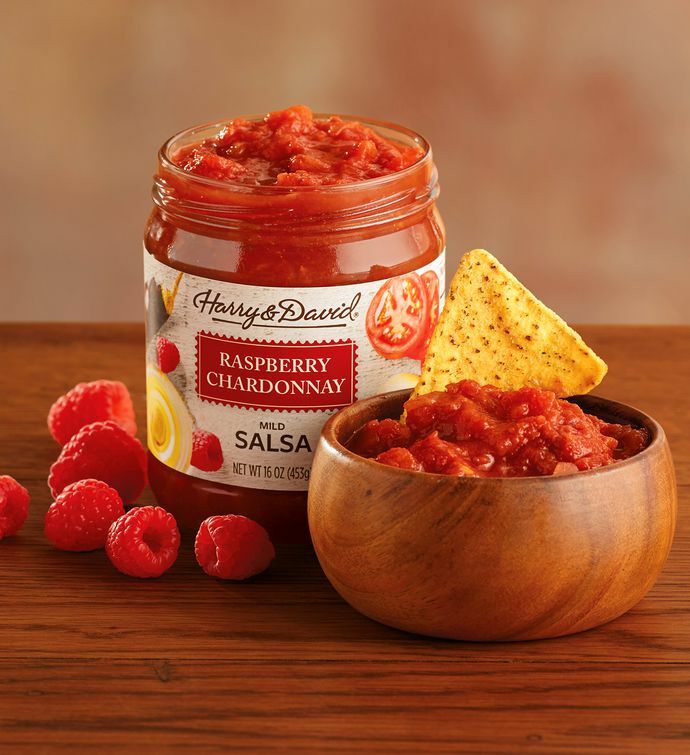 This Raspberry Chardonnay Salsa adds complexity and sweetness to our assortment of gourmet salsas. Made with real raspberries, Chardonnay wine, jalapeño peppers, and onion, this mildly spiced salsa dip perfectly complements a wide variety of favorite entrées and snacks. Cilantro lends a finishing touch to the flavor profile of this gourmet sauce.